Home Tags Posts tagged with "sellout"
After First Lady Michelle Obama wore a red and white check dress by online fashion retailer ASOS.com last year it quickly became a sellout. Now fashionistas who missed out stealing Michelle Obama’s style the first time round can get their hands on the dress again as it has gone back on sale today. The cotton skater dress is back in stock and currently available to buy for the bargain price of £55 ($85). Michelle Obama, who regularly tops lists of the world’s best dressed women, has worn the sleeveless dress herself on more than one occasion. 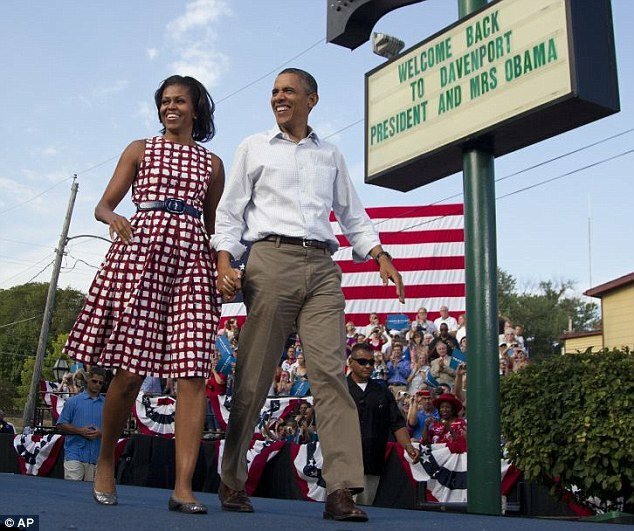 Then last August when Michelle Obama joined her husband on the campaign trail as he sought re-election, she opted for the ASOS number again, this time wearing it with a wider black belt and ballet flats. As if endorsement from the First Lady wearing it wasn’t enough, ASOS got even further free advertising when an image of Michelle Obama while wearing the dress while hugging Barack became the most shared picture in history on social networks. Barack Obama’s campaign team posted the image that was taken over the summer on his Twitter and Facebook accounts when it was announced he had won another term as President, along with the caption “another four years”. The president’ss online campaign manager told Time Magazine the picture was chosen because it summed up the “elation, relief and joy” they were all feeling at that historic moment. The picture was then retweeted 816,000 times on Twitter shared more than 4 million times on Facebook – breaking records for both social networks. ASOS was launched in 2000 with the aim of helping twenty-somethings replicate the style of the stars at affordable prices. Now more than a decade on, its success means they’re now setting the trends as well as following them.